Excellent overhead door service ready to serve you. All part of the garage door are subject to constant wear and tear. However, some are more likely get deformed or damaged than others. They are usually among the first which require replacement. 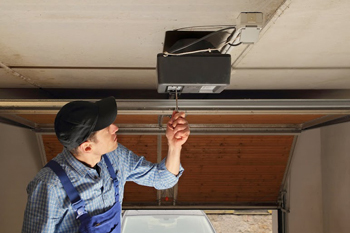 For these reasons, you should pay special attention to these parts during garage door maintenance. The garage door rollers are prone to damage because constant friction is created between them and the tracks. They are more likely to rust so they have to be properly cleaned and lubricated. Their stems are prone to breaking. This kind of damage will result in malfunctioning of the door so you will certainly notice it when it occurs. Rollers which have corroded considerably and ones with broken stems have to be replaced immediately. When choosing replacement garage door parts, you have to check the size and the make. Nylon rollers are not only more durable but less noisy as well. 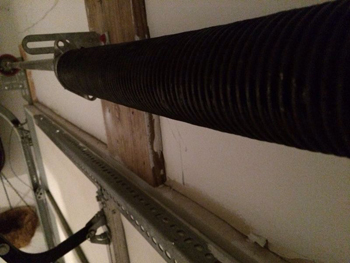 Many garage door tracks are not particularly sturdy and this makes them prone to damage caused by impact. They can get bent and in this case replacement is typically the best remedy. Their bottom part in particular is prone to rusting as salts transferred inside with the wheels of the car cause damaged to the protective coating. That is why it is a good idea for you to provide additional protection using an appropriate oil or stain. The hinges which house the stems of the rollers are also more likely to get deformed or damaged with time. As a stem moves, the round hole which it is in becomes oval. This affects the functioning of the door and poses a higher risk of damage. Hinges whose holes have become noticeably oval have to be replaced. You should not hesitate to provide any required garage door repair timely. Otherwise, even greater damage can occur and the safety of your family may be threatened.